People love to believe that they can fix things around the house. And some people do have the knowledge to help but when you do plumbing repairs without knowing anything, things can get real bad real fast. Thus, for intricate things like plumbing, always remember to call a professional to do the job to avoid the mess. When it comes to contract work, it takes a great amount of hard work and also, a careful and thought out plan to accomplish the job as plumbing is a basic necessity. Plans should be made so as to keep the water supply and sewage output far away from each other and the layout should be done in a manner where it is easy to repair if needed in the future. The basic and the most needed ones are PVC pipes. There are a lot of variations and different subsets that are available in the market suitable for various uses in a project or contract work. Do not hesitate to ask a professional about their recommendations and the things you should keep in mind when buying the source materials and other required amenities. The contract given could be regarding anything ranging from renovations to repairs as well as installations. 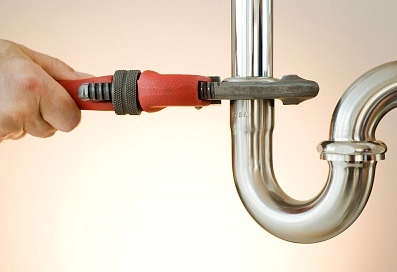 When the job tends to be time-consuming, selecting a plumbing contractor is the way to go. What Services do contractors offer? New Projects: Plumbing contractors offer to install the entire setup that is required in a new construction project. Plumbers work with builders and project managers to device a blueprint for the installation of the fixtures. Residential: These include service or repair jobs, installation and maintenance of equipment in a traditional home. Commercial: Contractors offer installation, service, and maintenance of the commercial units based according to the client’s setup and needs. The most important thing you should keep in mind is finding a licensed plumber in the area that you reside. Suppose a person lives in Montclair, New Jersey. Then, that person should look for a licensed Plumber Montclair NJ has to offer or in a nearby area. Licensed Plumbing Contractors NJ have passed rigorous licensing standards according to the state law and have years of experience behind them. Another thing people should keep in mind is that the plumbing contractor must be adept in working with different models of various brands. With experience, comes great quality as well as higher standards of service and results. The last thing to be aware of is to do a lot of research when you have never hired a plumbing contractor before. Read about the references and their testimonials from previous customers to know what to expect and which one to select. Look for their response time to make sure they are efficient. And always remember to hire a licensed plumbing contractor.